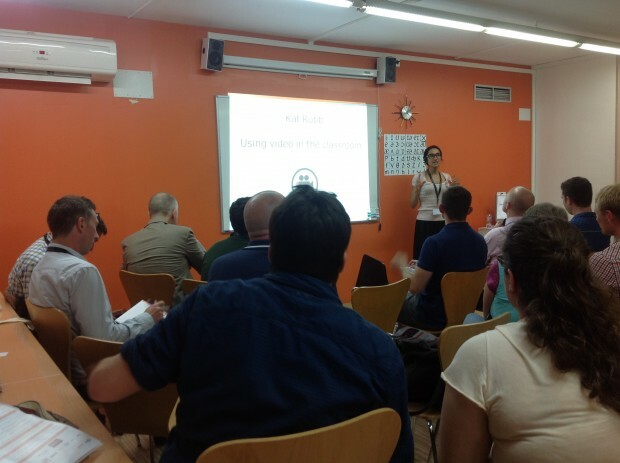 I was excited and overwhelmed to be presenting at Innovate ELT in Barcelona. 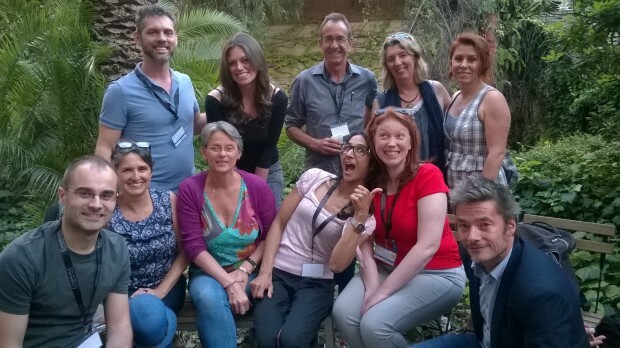 It was a great opportunity to learn from a lot of the big names in ELT , but there was an element of panic too. My talk was scheduled at the same time as Scott Thornbury, Sinéad Laffan and Nick Robinson from ELTjam, so I was nervous that there would be low attendance. However, the talk directly before mine was from Kieran Donaghy for which the room was full to the brim, and that’s how it stayed, Kieran included! 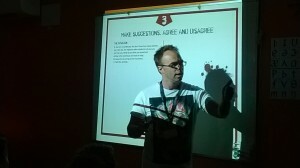 Here is a snippet of what I learnt from the 30-minute talks, demo lessons and speed dating. I didn’t attend any of the panel discussions but I hear they were really good too. The first session I attended was a demo lesson given by Ceri Jones; ‘In and beyond the classroom: using technology to support learning’. I didn’t stay for the entire 50-minute session because there was a 30-minute talk starting that I wanted to attend. It was interesting to observe the student interaction and of course see a seasoned teacher in action! 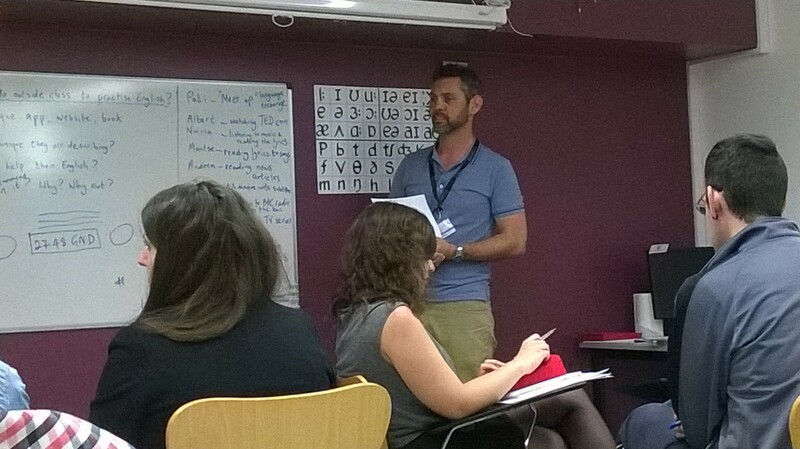 I am currently supporting two teachers on The Developing Teacher course at Oxford Tefl, which is allowing me to share and learn teaching practice ideas. I really enjoy observing other teachers because it enables me to become aware of my own teaching practice, and consider different ways of doing things. For me, teaching is all about learning. Clare Hart shared her personal experience about adapting textbook materials into digital format for supplementary extension courses. 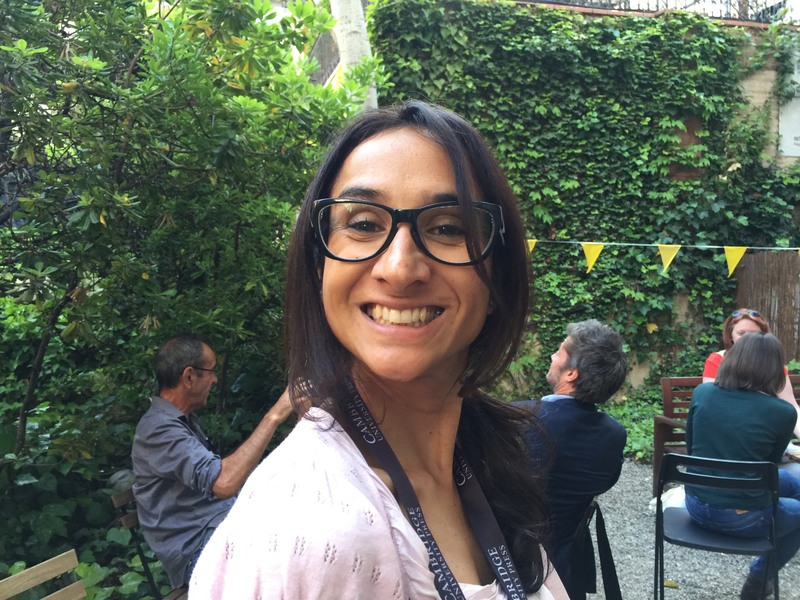 It was an inspiring talk that highlighted the differences between task types in print and digital format, and it was a great insight into the thought process of digital materials writing. I then learnt the necessary survival skills to be able to make it through a Zombie Apocalypse, courtesy of Lindsay Clandfield and Robert Campbell. The creativity was incredible and the lesson was a LOT of fun. It made me question the authenticity of a lot of textbook materials that ask students to imagine themselves in situations that they will probably never encounter. Why then not put them in an extremely random situation, and get them to explore language more creatively. Surely teaching is all about creativity. Later in the evening Lindsay and I geeked out over sci-fi movies, and discussed the order a Star Wars virgin should watch the hexalogy. We decided it should be 4 – 5 – 2 – 3 – 6, for any of you that are geeks too! My next 30-minute session was about video-making for beginners, with Christina Rebuffet-Broadus who has her own You Tube Channel, Speak Better Feel Great. It was motivating to know that for relatively little money and a bit of clever thinking it is possible to create good quality low-cost videos. I only managed to catch the last 30 minutes of Daniel Barber’s lesson demo; ‘Coaching in practice’, however in one of the 15 minute speed dating sessions later in the day, I had the chance to speak with Duncan Foord about coaching. The basic idea is that we should humanise our teaching and ask ourselves if our lessons are really achieving their goals. In the lesson demo, Daniel asked the students what they do outside the classroom to practise English. 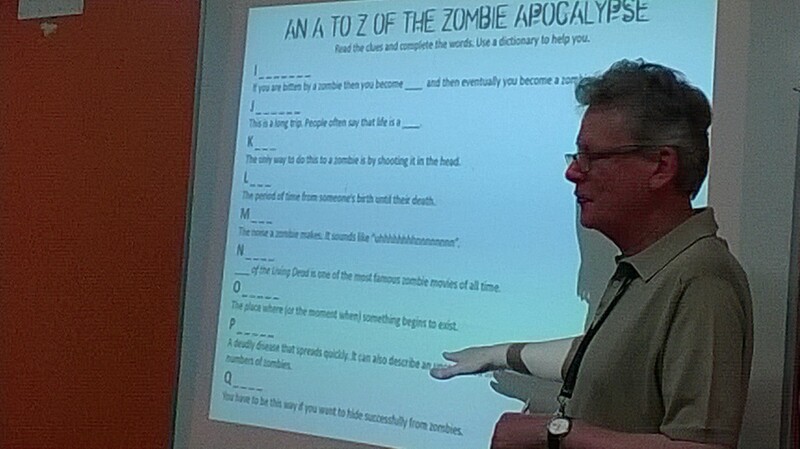 This made the learners aware of what they already do outside the classroom to engage with English, and think about what they could be doing more of. The students also had the chance to talk with the teachers observing the lesson. Kieran Donaghy gave an overview of different digital film-making projects he has done with his students, which were all very inspiring. I think sometimes we underestimate out students’ capabilities inside and outside the classroom. The speed dating dates my group had were with Lindsay Clandfield, Maureen McGarvey, Christina Rebuffet-Broadus, Nicky Hockly, Robert Campbell and Duncan Foord. The 15 minutes slots were a free-question session where it was possible to get up close and personal with some of the speakers in a small discussion group. There were many other talks I didn’t manage to attend, that I would have liked to. Some of which are Brendan Wightman’s ‘A short history of disruption’, Sinéad Laffan’s ‘The hole in the classroom wall’, and Maureen McGarvey’s ‘Dogme, Demand High and ELT management. 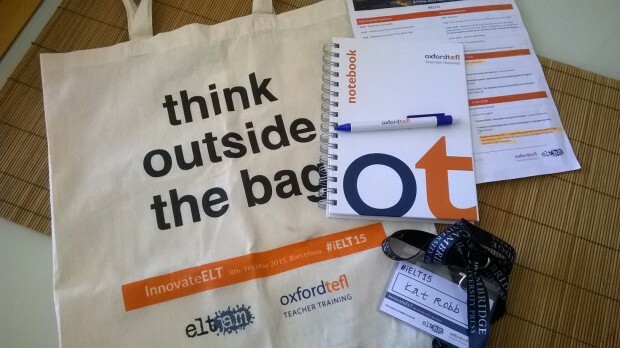 A truly innovative conference, thank you ELTjam and Oxford Tefl.